There are so many number of questions like how this universe came into existence and what form is it going to be in future always keeps bothering our scholars and scientists and thus in sake of finding answers to which they every time come up with some new theory that can prove out to be perfectly answerable to their queries. 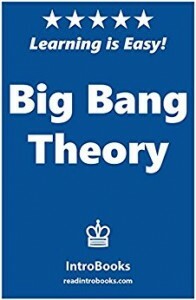 And so like many other theories, big bang is also the one which describes about how this universe, that you are living in now, came into existence. Though, this is not that only theory which described about whole of the universe, but among many of those such as Steady State Theory or Oscillating universe theory, this was the one which was highly accepted and thus became popular. This is the theory which made people believe that there was nothing before this universe that could be of help to make all this happen and then there was everything that you are living in after that great explosion. It was actually brought up in light by the scientist named as Friedrich Franz Friedmann who with those many of his field equations claimed that the universe is expanding. After which the Roman Catholicpriest and physicist George Lemaitre in 1927 again suggested that the planet is expanding which was finally proved by Edwin Hubble through his discoveries. Moving ahead with which the discovery of cosmic microwave radiation in 1965 actually made this theory proved as best of all which indicates about how universe actually originated.